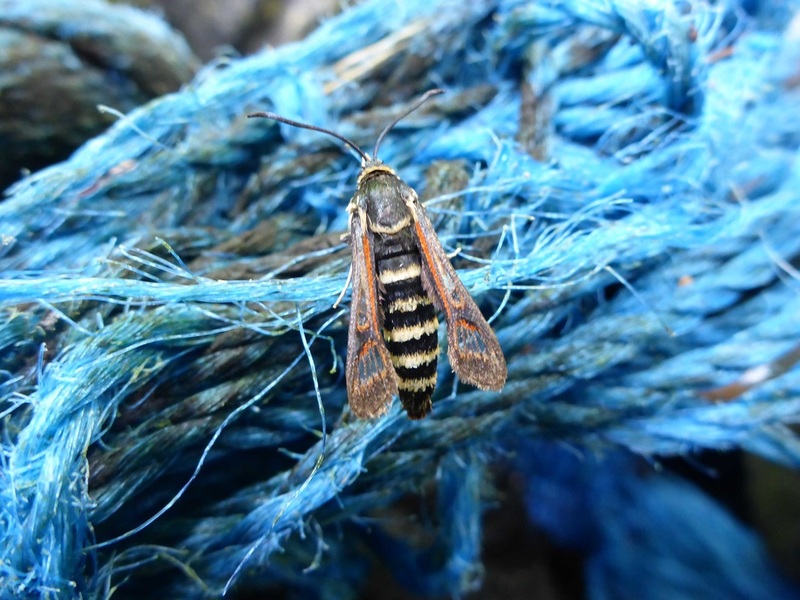 Fireweed clearwing moth identified by Vinko Culjak Mathieu and photographed by Sara Wickham. 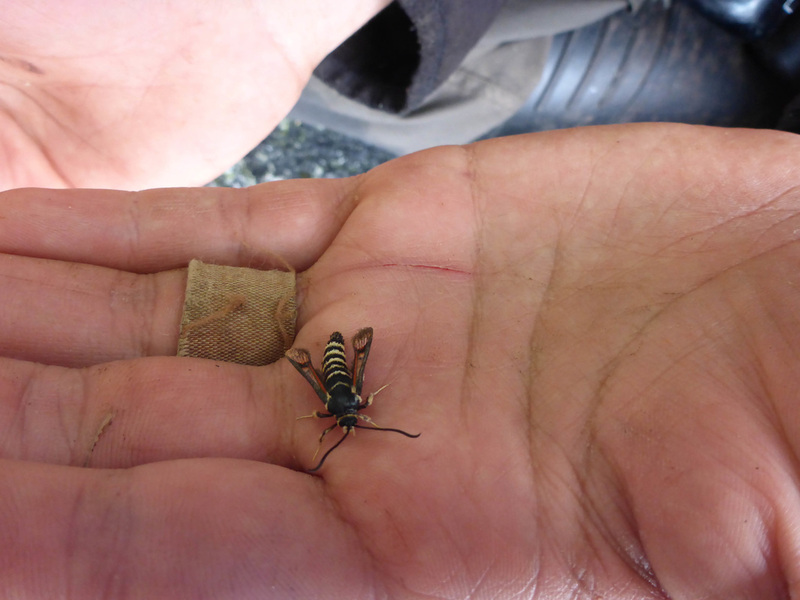 Like many others in the clearwing moth family (Sesiidae), the fireweed clearing moth has a wasp-like appearance and its narrow, elongated wings are largely transparent — hence the name 'clearwing'. 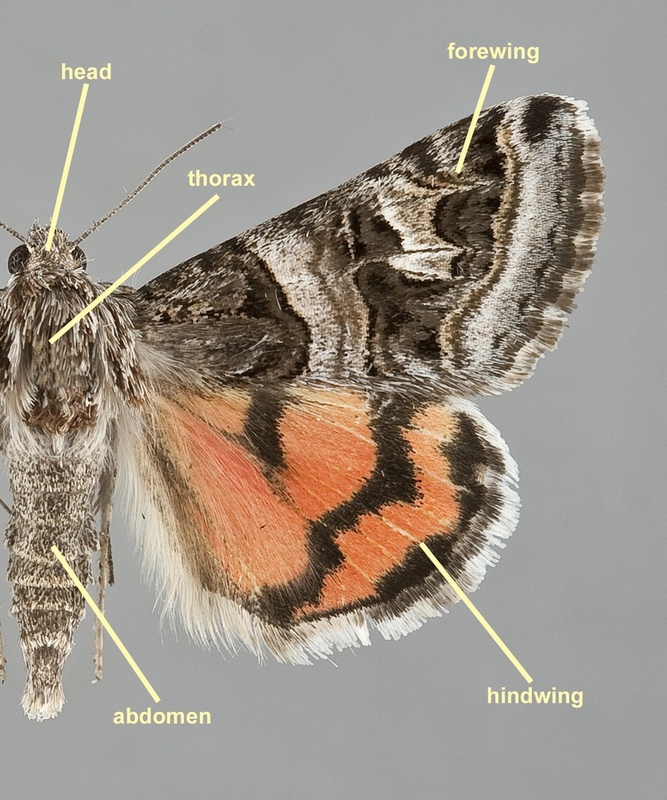 The main identifying feature of this species is the wide discal band found on the forewings: this feature is bordered with orange on the specimen pictured above. This species exhibits multiple colour forms, including an all black body. Click here for more images. The larvae of this commonly collected species bore into and eat the main roots of Epilobium (such as fireweed, E. angustifolium) and Oenothera (primrose) species, and may tunnel as far as 60 cm deep. Adults, which are present during spring and summer, are attracted to flowers: the males hover over flowers, while the heavier females rest on the flowers and leaves. This species is found across North America, including the Rocky Mountains and Pacific Mountain ranges. Fireweed Clearwing Moth Albuna pyramidalis (Walker, 1856). Butterflies and Moths of North America. Accessed 05/07/2016. Species Albuna pyramidalis - Fireweed Clearwing Moth - Hodges#2533​. BugGuide. Iowa State University Department of Entomology. Accessed 05/07/2016.